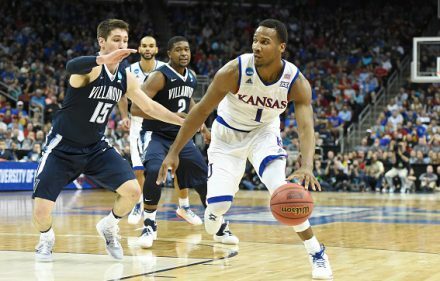 The Kansas men’s basketball team will play a home-and-home series against Villanova over the next two years, the Jayhawks announced on Monday. 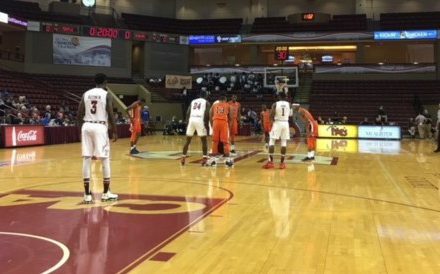 The series will begin between the two powerhouse schools next season on Dec. 18, 2018, in Kansas with the matchup shifting to Philadelphia on Dec. 21, 2019. 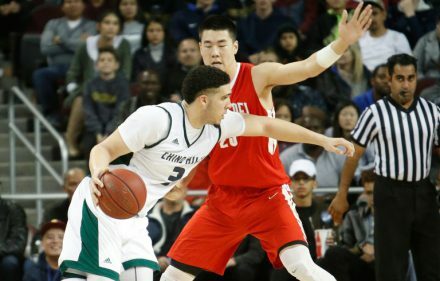 PORTLAND, Ore.– It wasn’t the best of starts for No. 9 North Carolina. 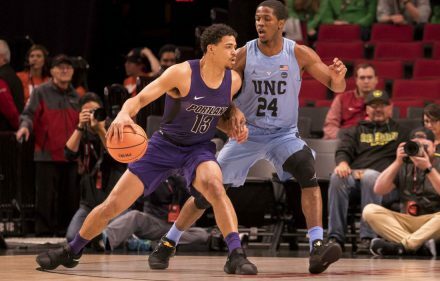 Facing an overmatched foe in Portland, the Tar Heels needed a full half to put away the Pilots as Luke Maye led North Carolina to a 102-78 victory in the first round of the Phil Knight 80 Invitational on Thursday. 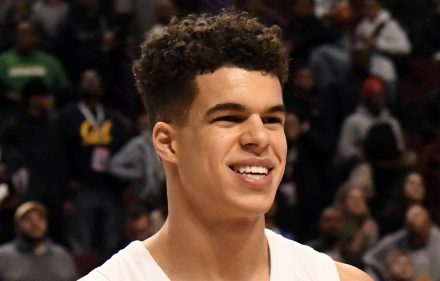 North Carolina guard Cameron Johnson will have surgery on Wednesday to repair a torn left knee meniscus, the school said in a press release. 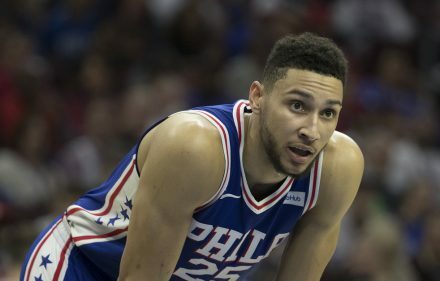 Johnson suffered the injury during practice on Monday and the school did not offer a timetable for his return in the release. 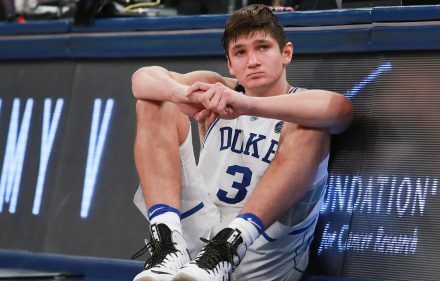 Duke Blue Devils captain Grayson Allen says in an interview with Jeff Goodman of ESPN that he feels bad about his past tripping incidents that have tarnished his reputation throughout college basketball. 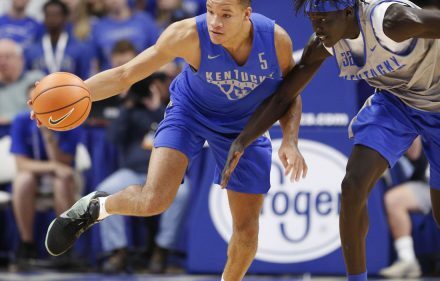 Kentucky opens the season against Utah Valley on Friday night with the youngest team ever assembled by John Calipari, an impressive fact given the coach is the king of “one-and-done” players. 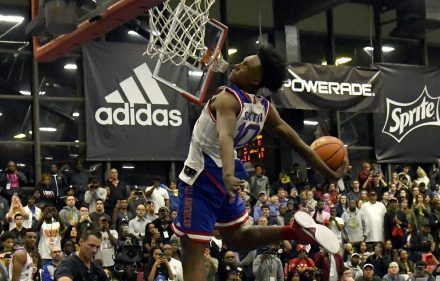 Eight of UK’s 11 scholarship players are freshmen; two are sophomores.